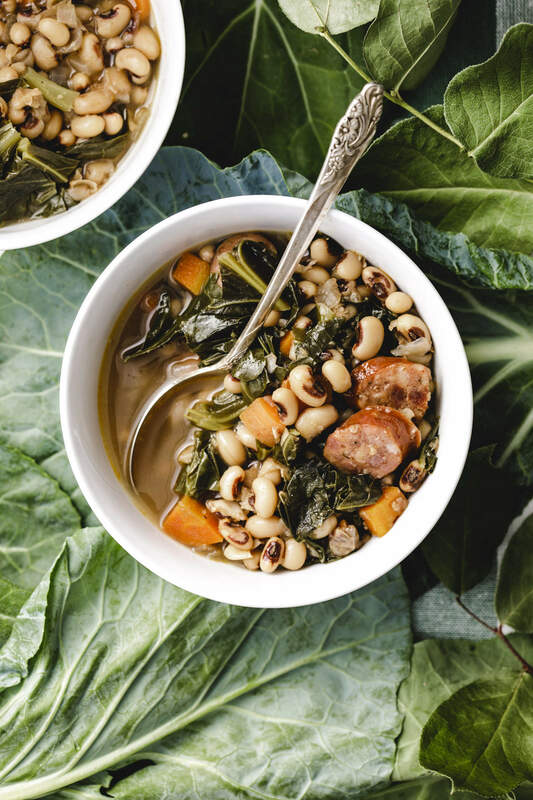 A quick and easy recipe for Black Eyed Pea Soup made in the Instant Pot with collard greens and sausage. The secret is in using dried beans for a better flavor. Black eyed peas (not the band) are a symbol of good fortune and prosperity in the south. Additionally, the collard greens symbolize money. Many people serve this recipe on New Year’s Day as a way to ensure a prosperous new year. The thing that makes this particular recipe special is in using dried beans instead of canned. Dried beans always taste better to me and their texture holds up. Too, they’re cheaper! The Instant Pot is perfect for cooking beans quickly so you don’t have to go through the hassle of soaking them overnight. I’m never good at planning that far ahead. This recipe also happens to be gluten free. Of course, if you are preparing this for someone with a gluten allergy, be sure to confirm the sausage and bouillon that you purchase don’t have gluten in them. Better than Bouillion’s Chicken variety is clear as is Aidell’s Andouille Sausage. 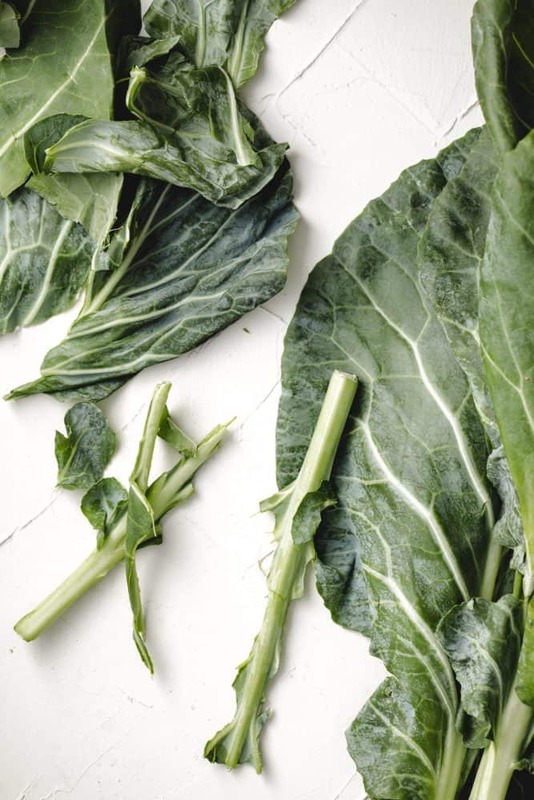 You’ll want to remove the bitter spines out of the leaves of the collard greens before adding them to the pot. You can cut them out with a knife, or do like me and just pull the leaves away from the spine. Either way, the spines are a bit too tough to eat and are especially bitter. Don’t Have an Instant Pot? Slow Cook It! My favorite part about this soup is that it builds complex flavors without having to simmer on a stove top all day. Of course, if you don’t have a pressure cooker, you could do this in a slow cooker. Just set it on low for 8 hours or high for 5 to 6. You want the peas to get soft, but not mushy. I like my beans with some texture. The addition of the hot sauce is also completely optional. I am a spice fan, so I usually double what’s reflected in the recipe below. But, if you’re sensitive to heat, you can omit it all together. 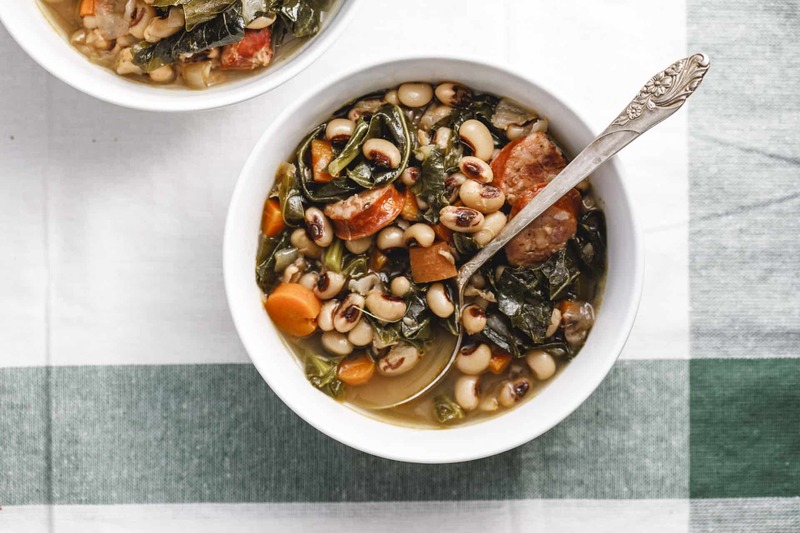 I hope you have a wonderful new year and enjoy getting cozy with these Black Eyed Peas. 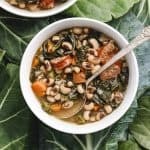 An easy recipe for Instant Pot Black Eyed Pea Soup that comes together in under an hour with collard greens, andouille sausage and fresh veggies. Put dried black-eyed peas in a container and cover in water, 1 inch higher than the beans and allow to soak overnight. The next day, drain the beans, rinse and place in the pot of an electric pressure cooker. Add in chopped onion, chopped carrots, bouillon, caraway, garlic salt, lemon pepper seasoning, hot sauce, paprika, balsamic vinegar and water. Set pressure cooker at 6 minutes on high and allow to cook. Once the 6 minutes is up on the cooker, release the pressure and add in the sausage and collard greens. Cover the pot again and pressure cook for 2 minutes on high. Once cooking is completed, keep on warm until ready to serve. Add more salt to taste. *Feel free to sub another type of sausage depending on what’s available to you and your personal tastes. That looks delicious! I pinned it to my pressure cooking MEGA BOARD on pinterest. Looking forward to more recipes and videos from you! Can this recipe be made in a crock pot? Joanie, Thank you for your response. The soup is DELICIOUS. It ended up being in the crockpot on low for about 8 hours and my Black eyed peas never really softened? I soaked them in water the night before. Wonder if next time I should try simmering them for awhile before putting them in the crock pot. The flavor of the soup is fantastic. I will make it again. So sorry they didn’t soften! 8 hours should have done the trick, but definitely soaking them and then simmering a bit next time would definitely guarantee they’d soften. Glad it tasted good! We made this today after seeing your segment on 3TV last week. It’s delicious! Thank you for the recipe. So glad you liked it! Thanks so much and happy new year to you! This soup was so delicious. 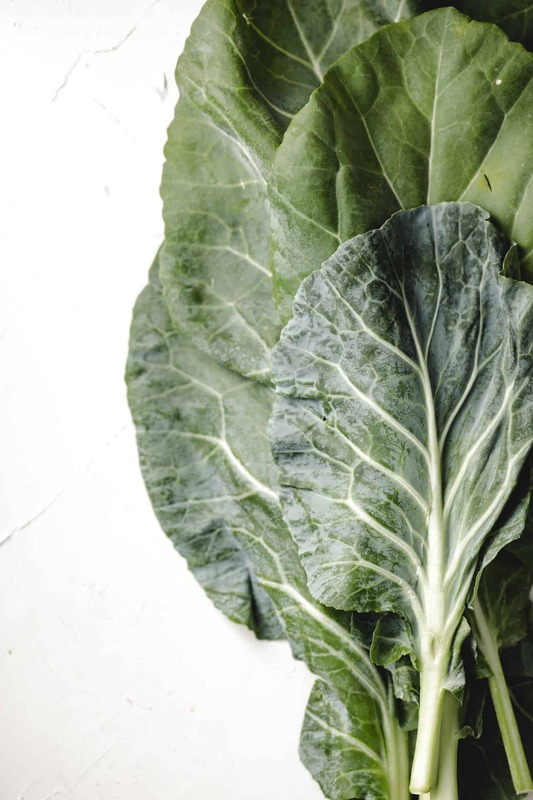 We used Swiss chard instead of collards and also used ham bones instead of sausage. Thank you for the great soup!